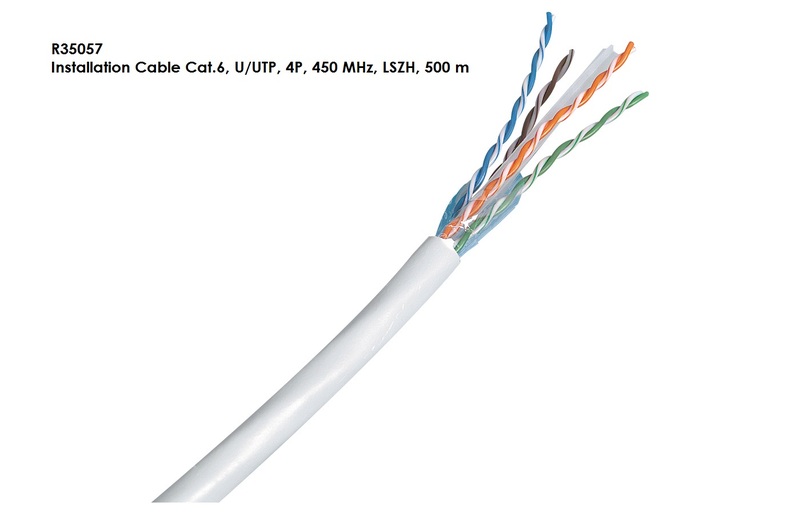 Cat.6, U/UTP, AWG23 cable. 100 Ohm impedance. Data transmission frequencies of up to 450 MHz.